Rachid Khechana is a journalist and the director of the Mediterranean Centre for Libyan Studies (Centre Maghrébin des Etudes sur la Libye, CMEL). Before, he was a program coordinator with al-Jazeera Media Network group. Rachid Khechana is a member of the Tunisian League of Human Rights (Ligue Tunisienne des Droits de l’Homme, LTDH) and the former Secretary General of the Progressive Democratic Party (2006-2011) in Tunisia. He headed the Tunis-based office of al-Hayat newspaper (1988-2009) and he was a correspondent for LBC TV channel (2005-2008). 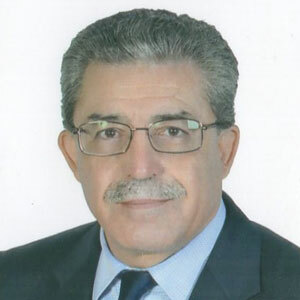 Rachid Khechana has authored several articles dealing with Middle Eastern and North African issues. He graduated in “Literature and French language” from the University of Paris-Sorbonne. He also holds a Master in Journalism (University of Tunis, 1985).